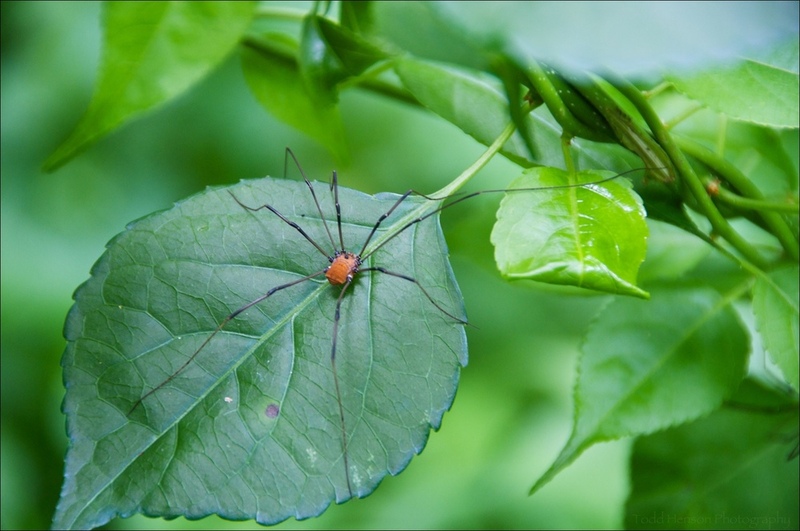 The Eastern Harvestman is an arachnid more commonly known as Daddy Long Legs. It has a large central body and eight long skinny legs. It is not venomous.